Director Michelle MacLaren is officially presented as the director of the upcoming Wonder Woman movie. Before this big step in her career, she also directed episodes of Breaking Bad and The Walking Dead. Just over a week ago Warner Bros. hinted they were keen on signing the Canadian director to help them with the long-awaited DC Comics adaption Wonder Woman. Now we know for sure, thanks to The Hollywood Reporter. MacLaren will develop and direct the solo film with Charles Roven and Zack and Deborah Snyder producing. 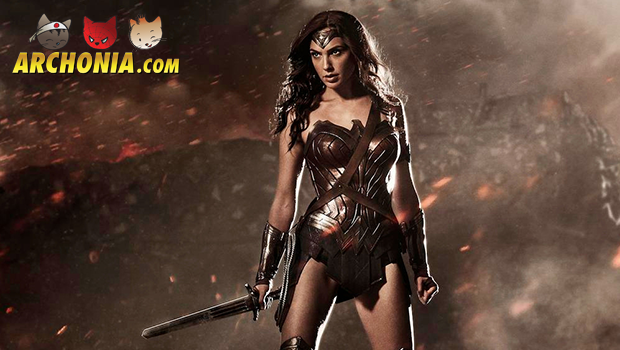 We already knew that Gal Gadot will star as the Goddess of Truth, who will make her first appearance in 2016 in Batman v Superman: Dawn of Justice. It’s also rumored she will make additional appearances across the DC new cinematic universe before the solo film sees release on June 23, 2017. We can also, pretty much, guarantee that Wonder Woman will play an important role in Justice League Part One, which is set to hit cinemas on November 10, 2017. Since we got the rumor machine started: we heard through the grapevine that the Wonder Woman movie-franchise is targeted for development as a trilogy with the first film planned to take place in the 1920’s. After her first encounter with the outside world (she’s originally from the fictitious island of Themyscira), Wonder Woman experiences the USA, that still needs to learn a lot about equal rights. After that, word is that the sequel will take place in the 1940’s against the backdrop of World War II. The third film takes us to a contemporary setting. But remember, these are all rumors.